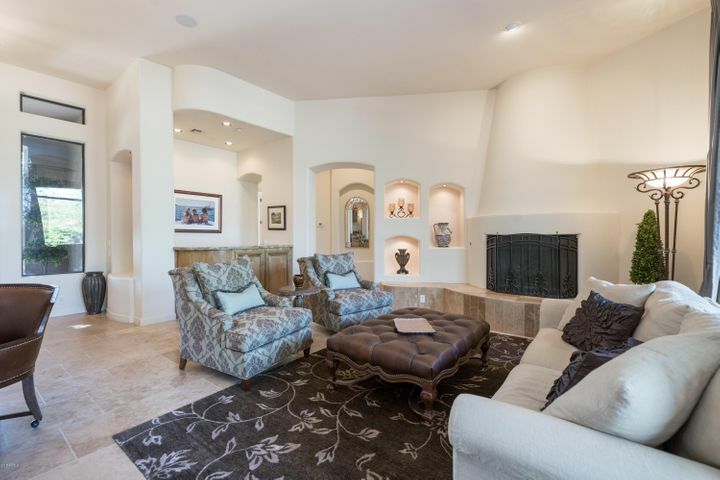 Stunning home situated on a lot adjacent to a pocket park in DC Ranch Country Club. 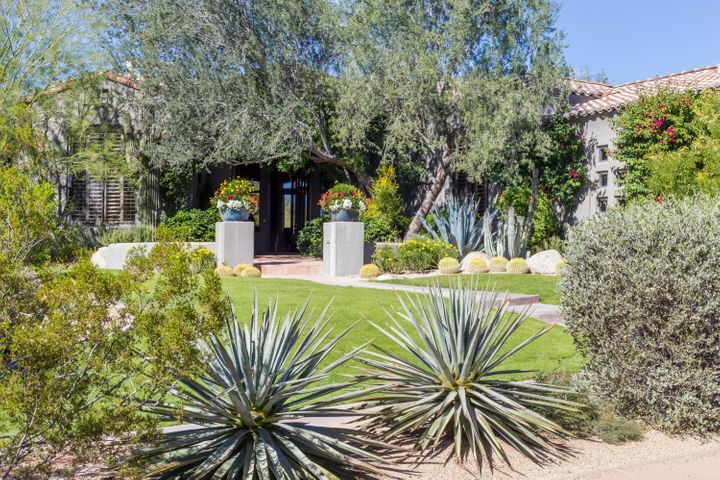 Immediately notice the gorgeous mature landscaping that greets you upon arriving. 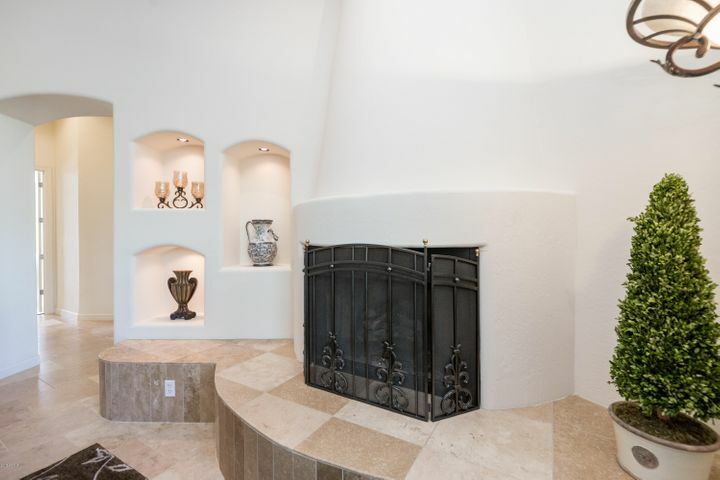 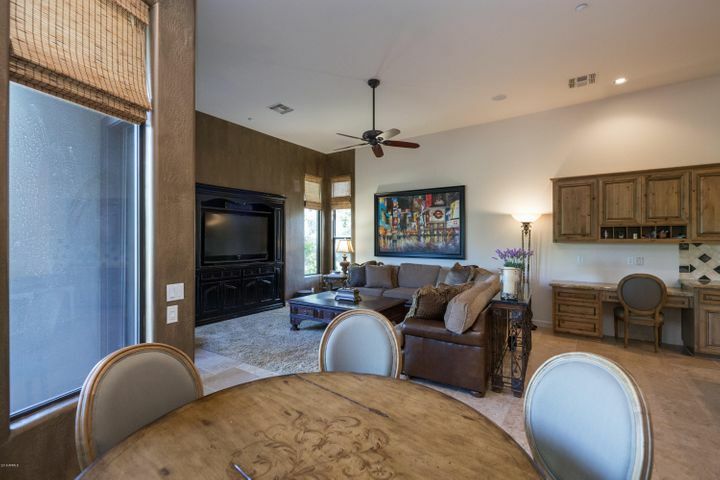 Inside, the living room offers an open entertaining space with a gas fireplace, full wet bar, and access to the back patio. 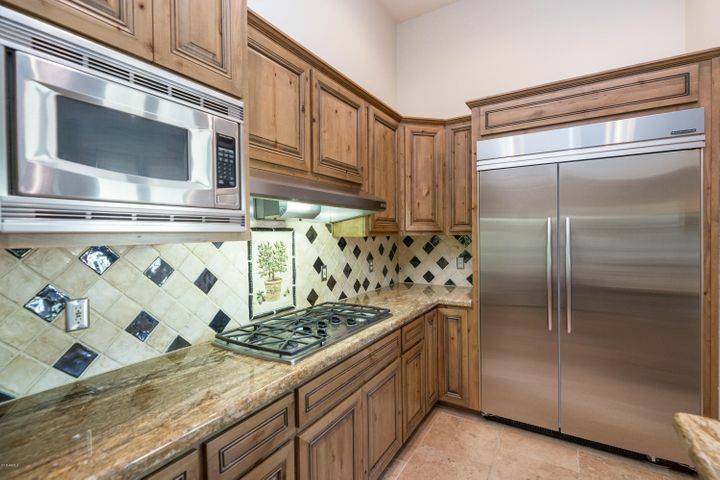 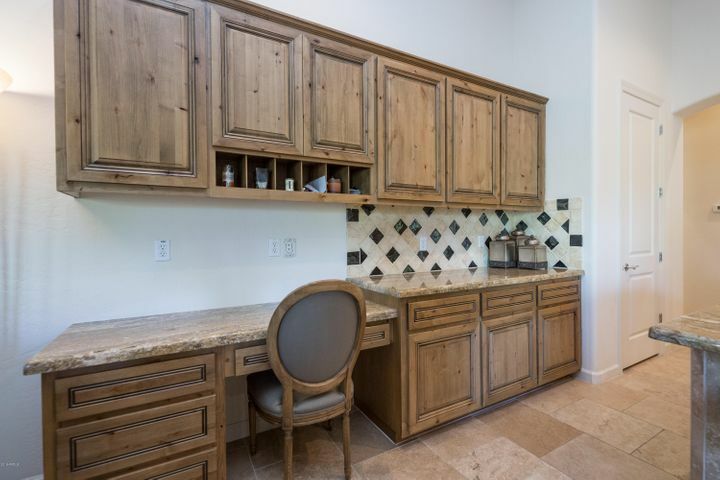 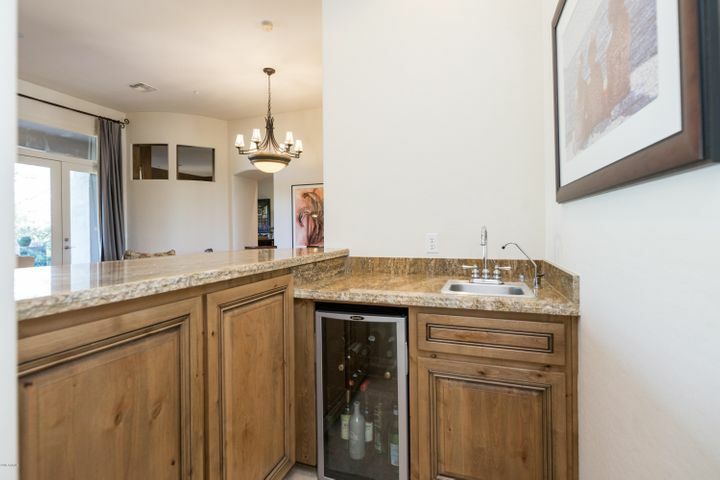 The gourmet eat-in kitchen is open to the family room and includes an island, two wall ovens, gas cook top, built-in microwave, a pantry, and plenty of cabinets for storage. 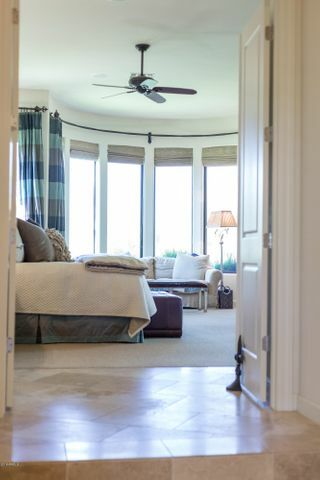 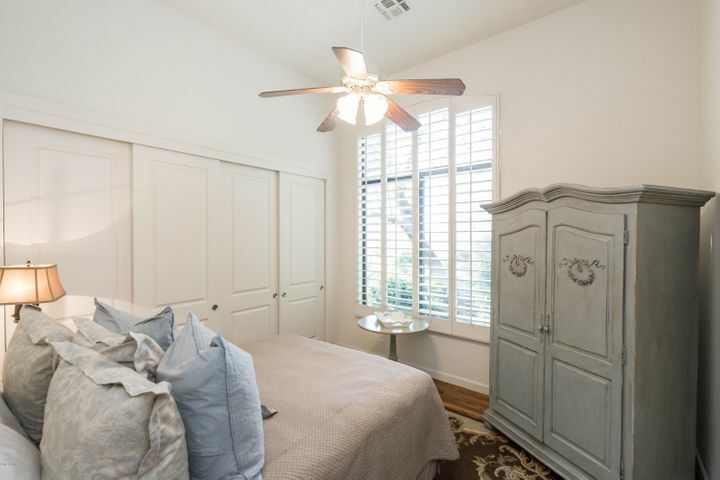 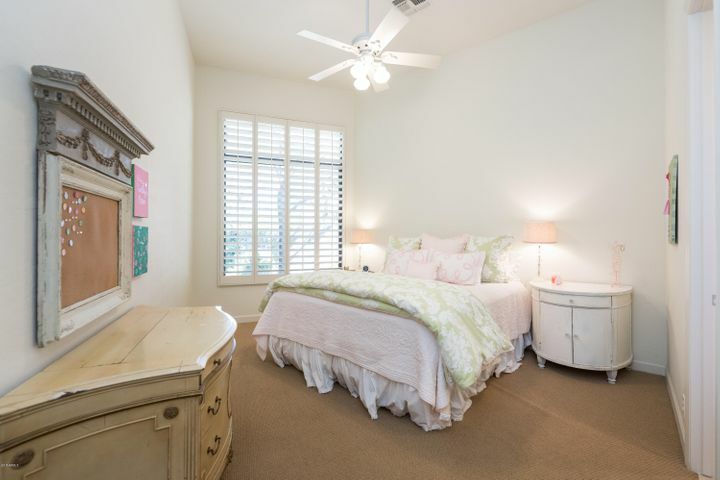 The master suite is split from 3 of the secondary bedrooms and features large windows for plenty of natural lighting and a private exit to the back patio. 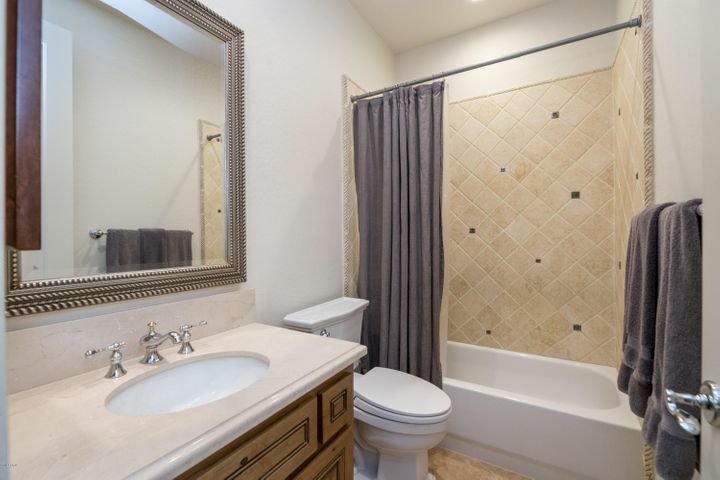 The spacious ensuite master bath offers dual sinks, a vanity, separate tub and shower, private toilet room, and a walk-in closet. 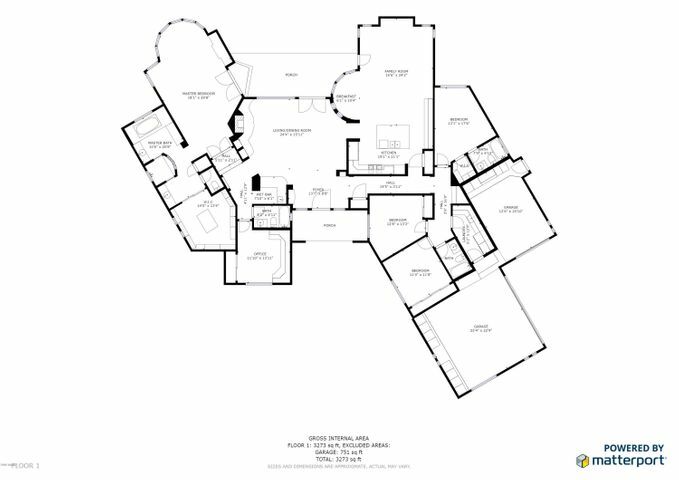 One of the secondary bedrooms has its own ensuite bath and two other full baths are conveniently located on each side of the home. 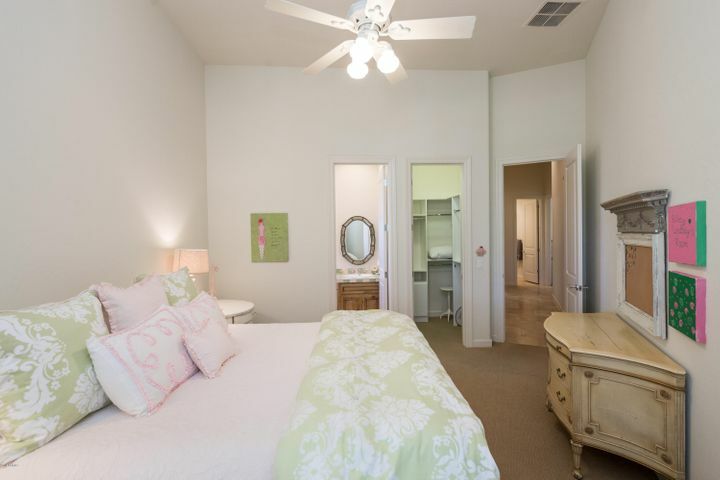 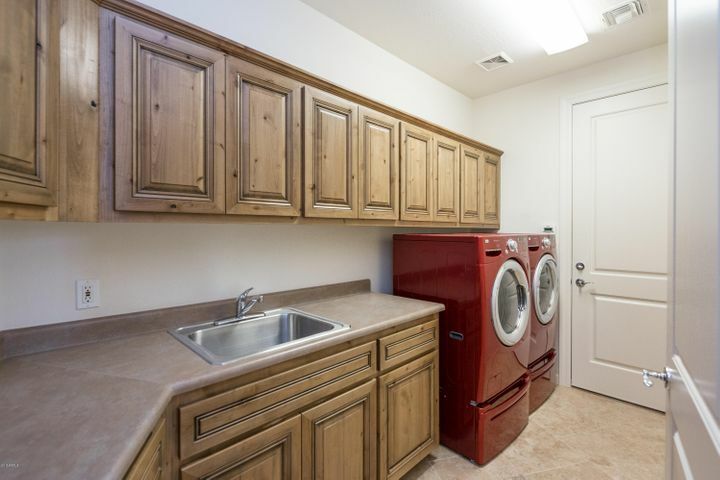 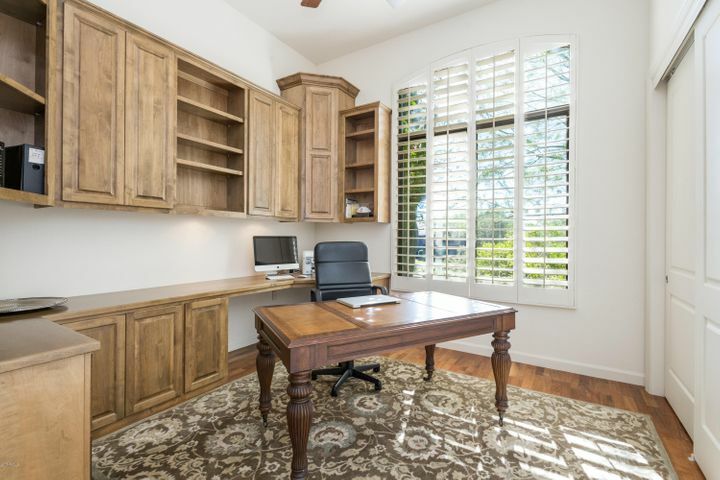 The 5th bedroom that can be used as an office and the laundry room with access to the 3-car garage complete the home. 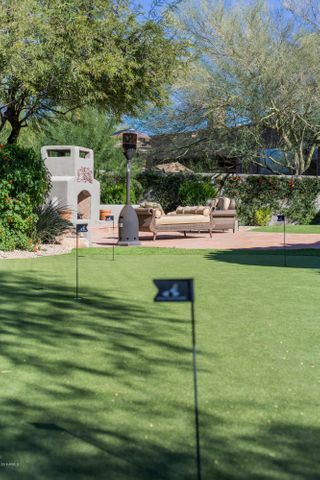 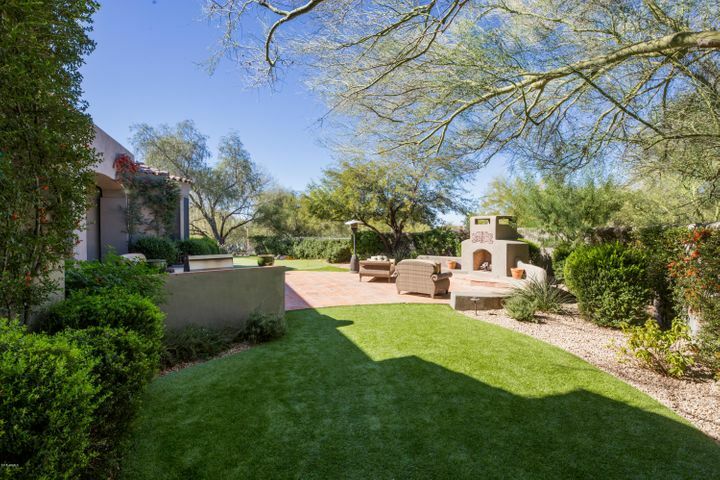 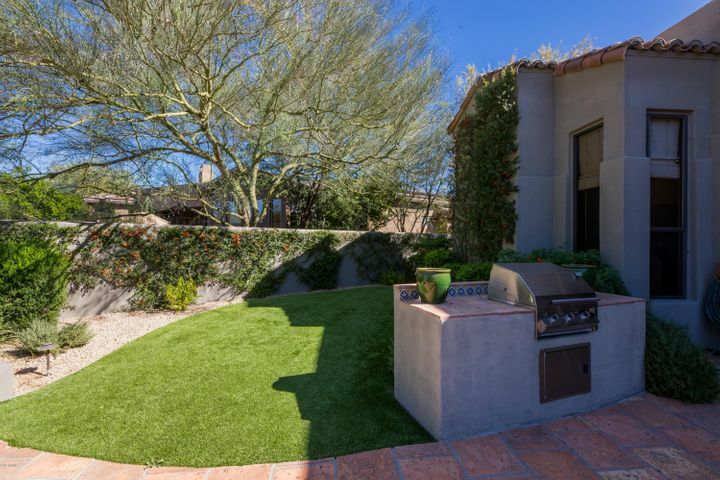 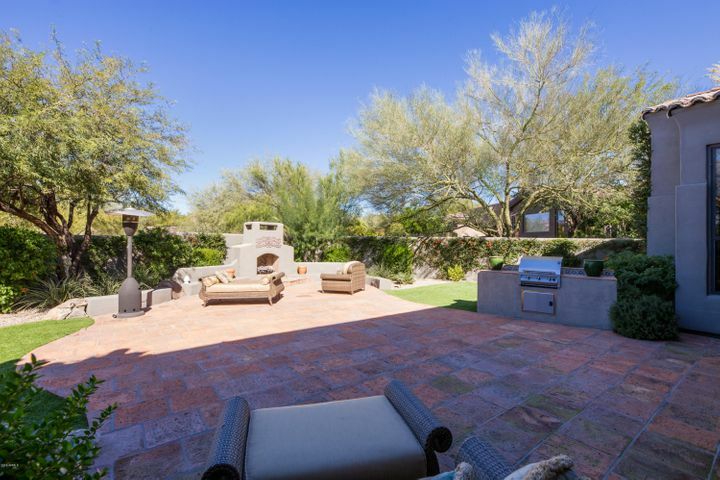 The over-sized backyard offers a large patio with built-in gas fireplace, a grassy play area, and putting green. 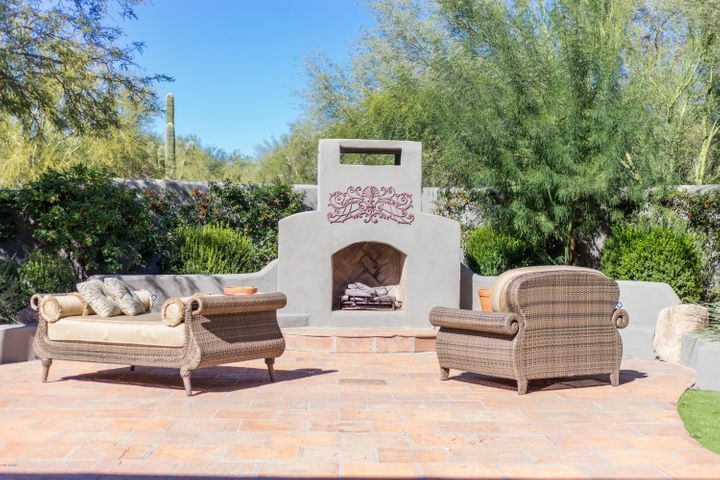 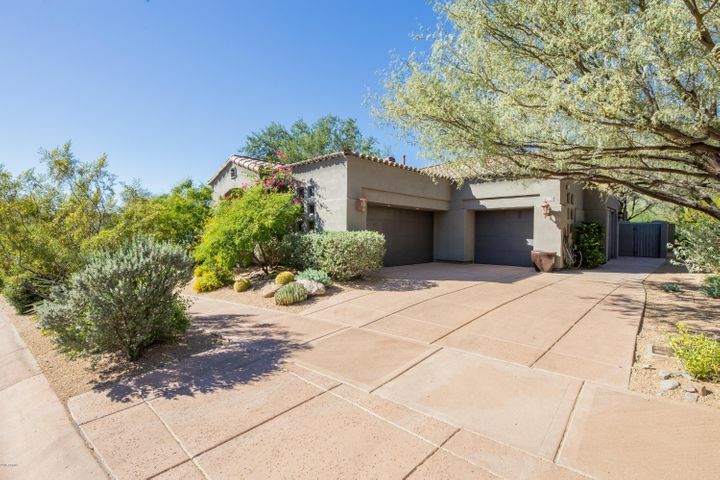 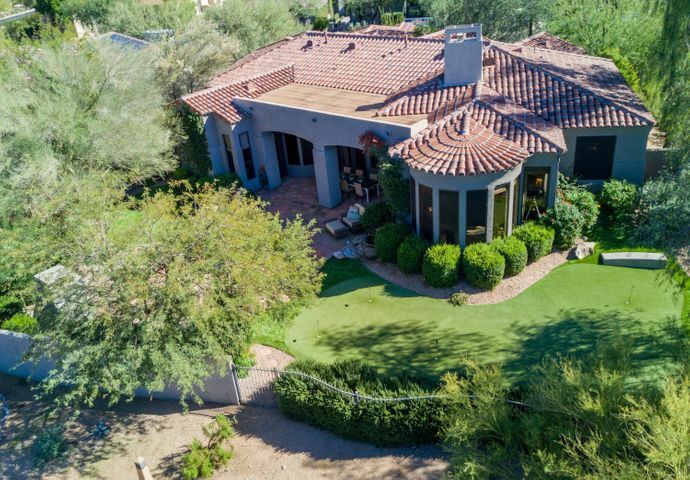 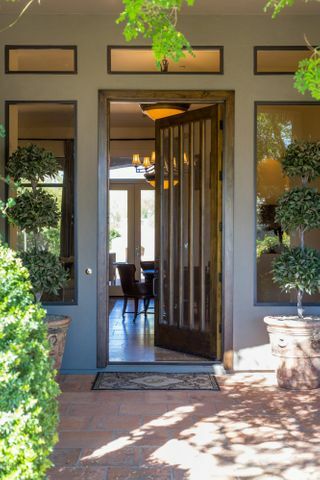 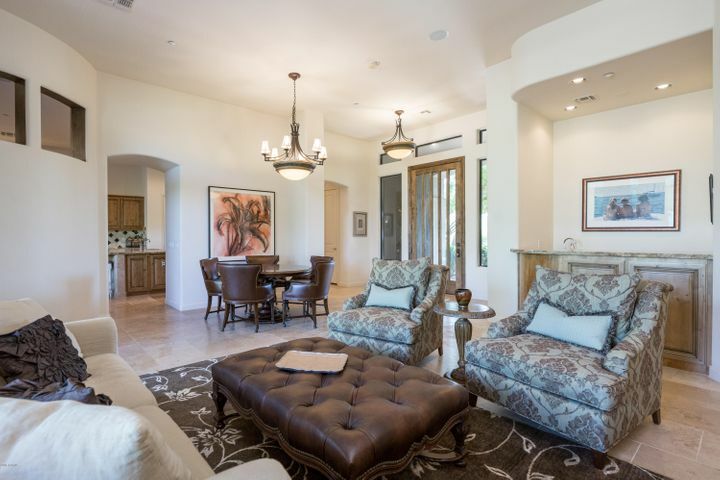 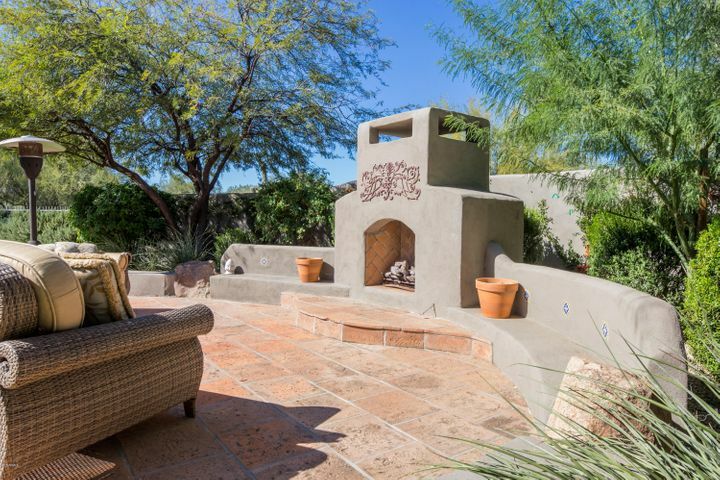 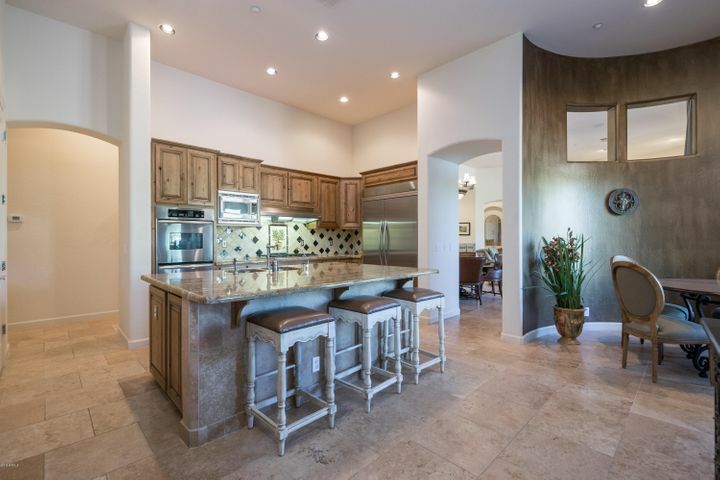 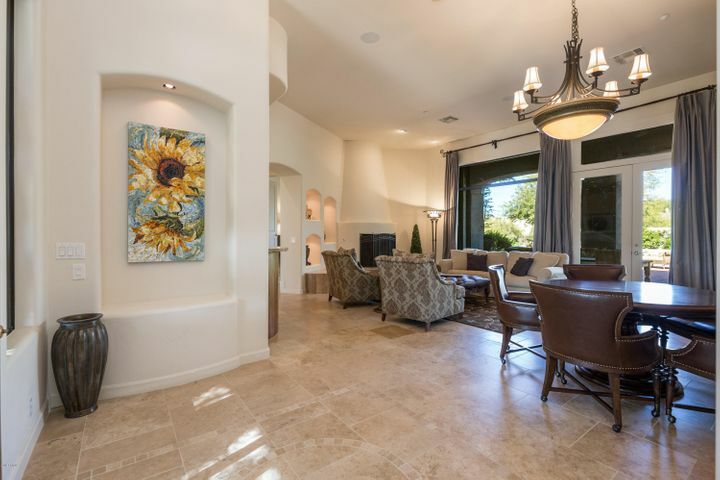 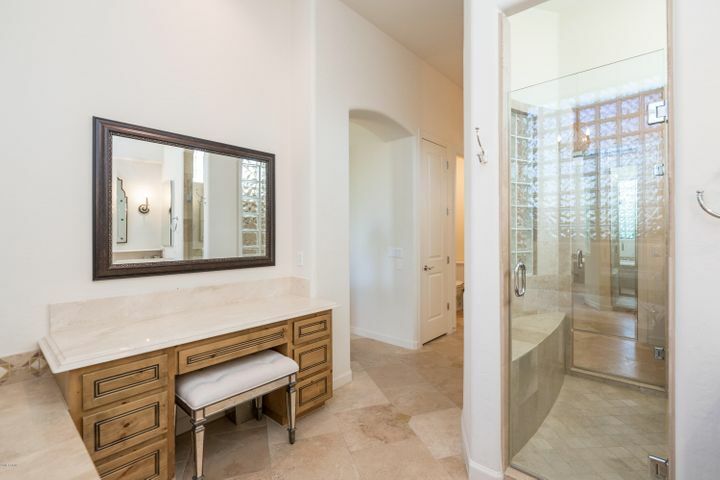 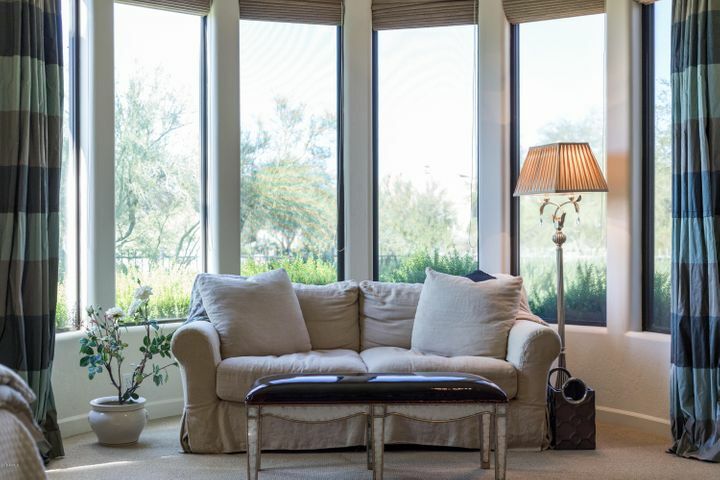 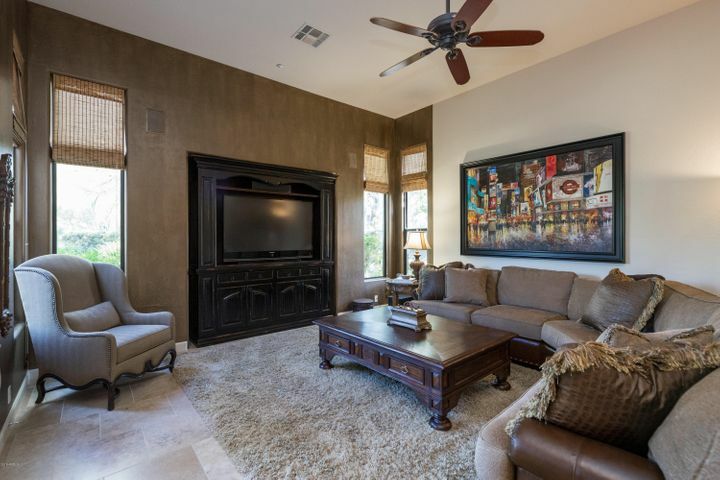 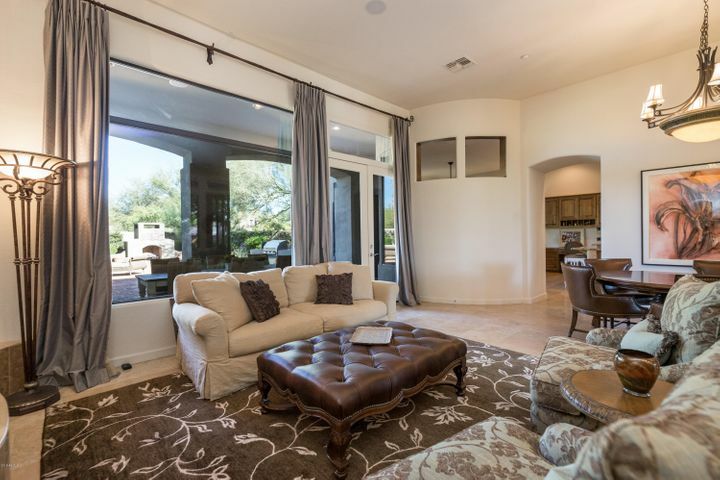 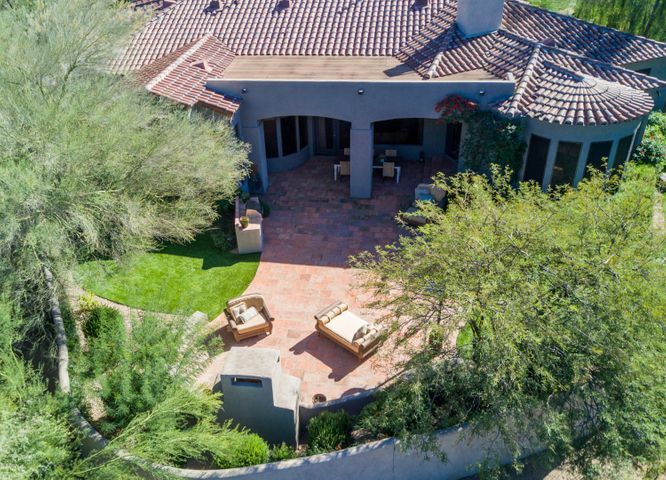 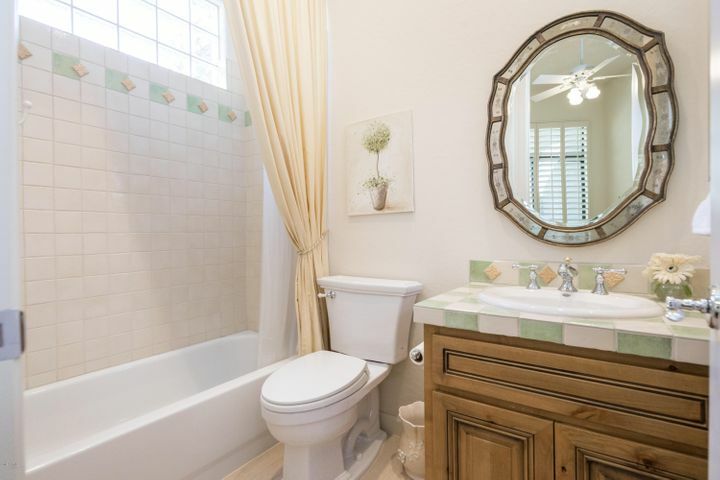 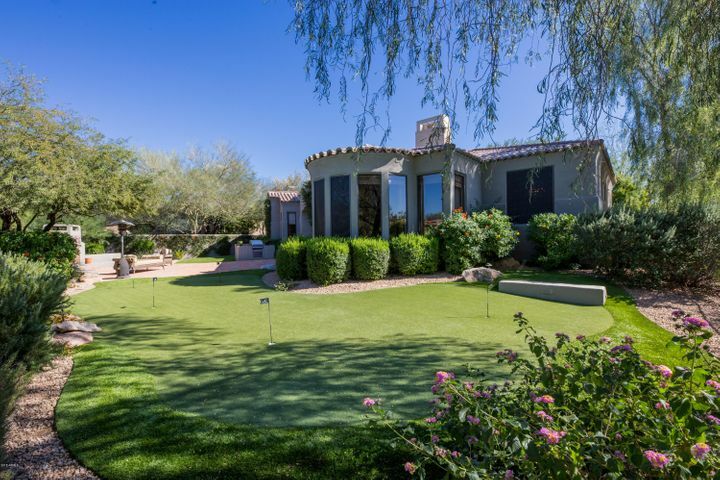 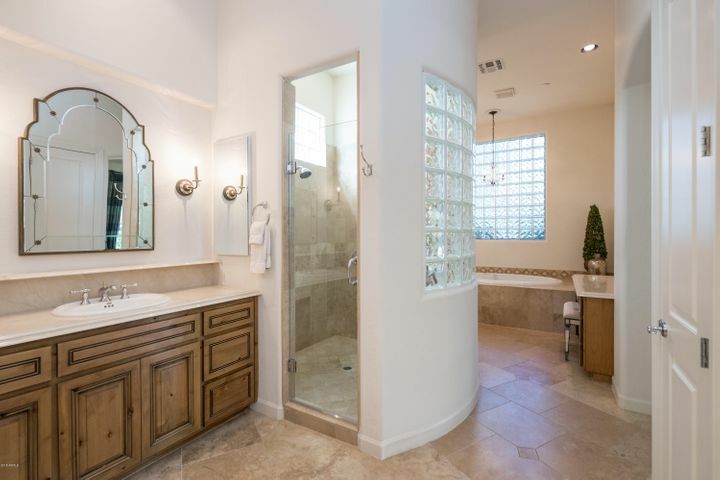 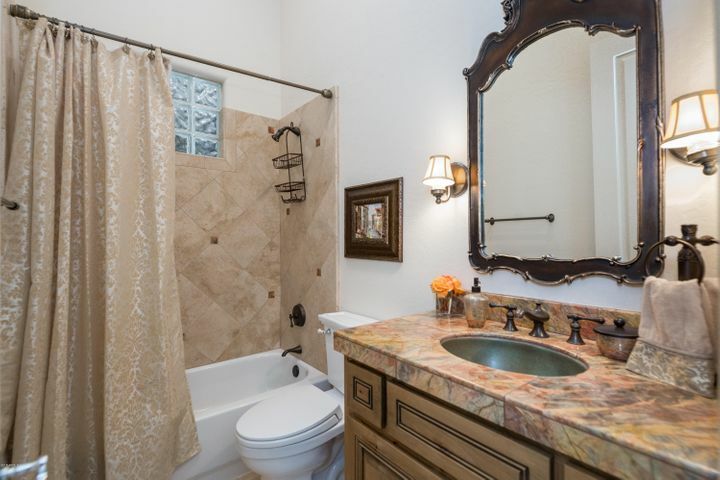 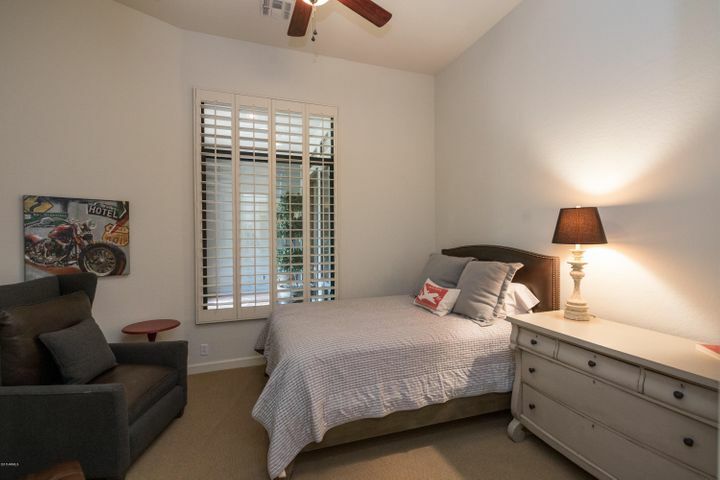 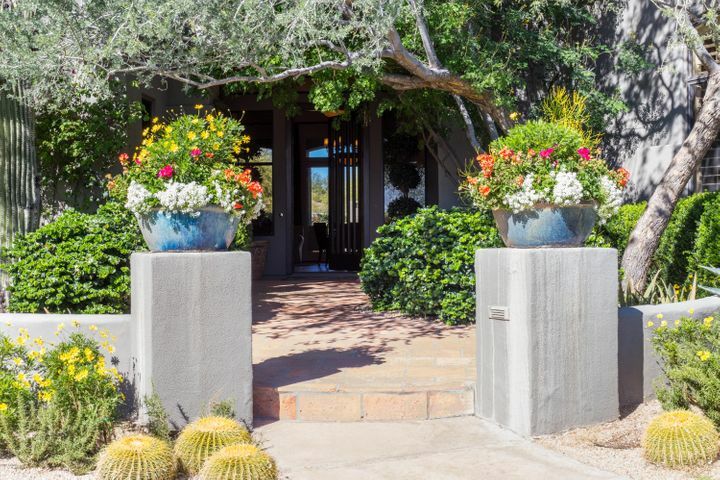 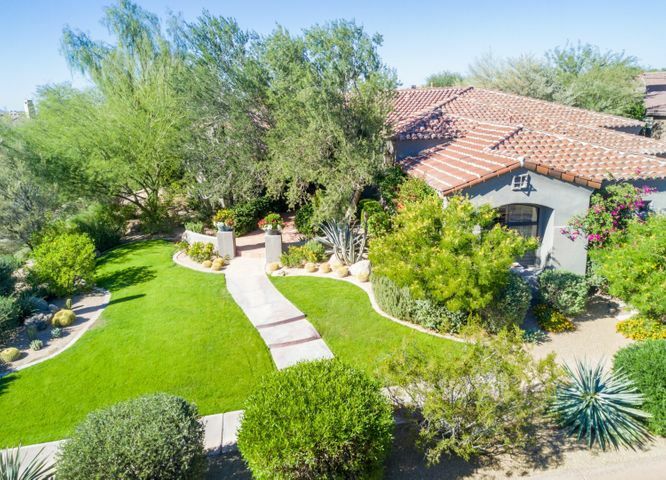 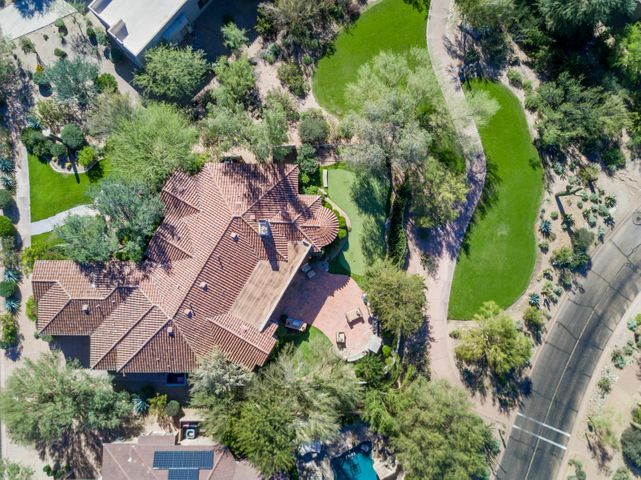 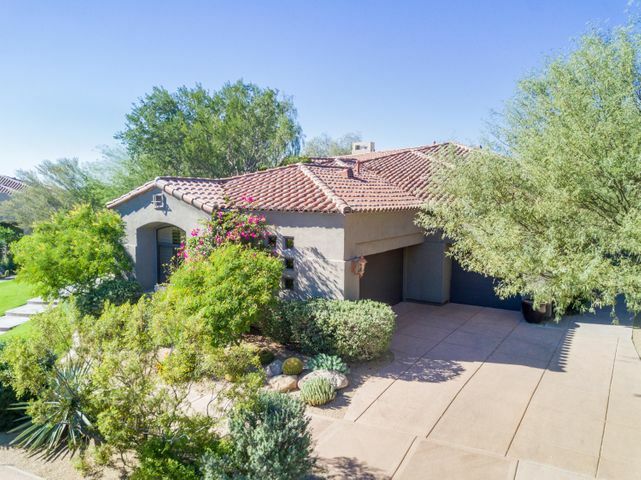 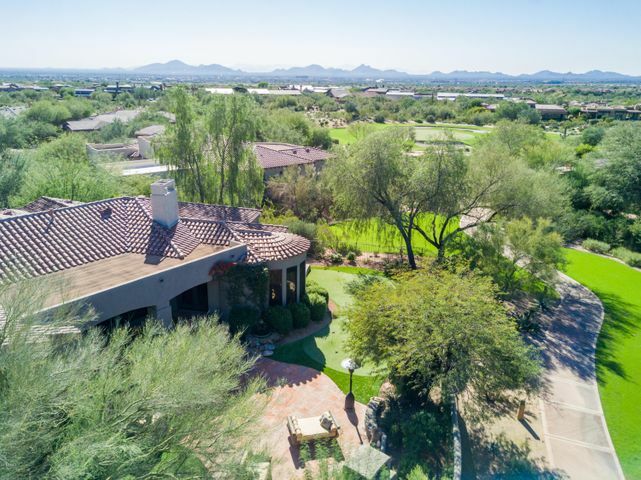 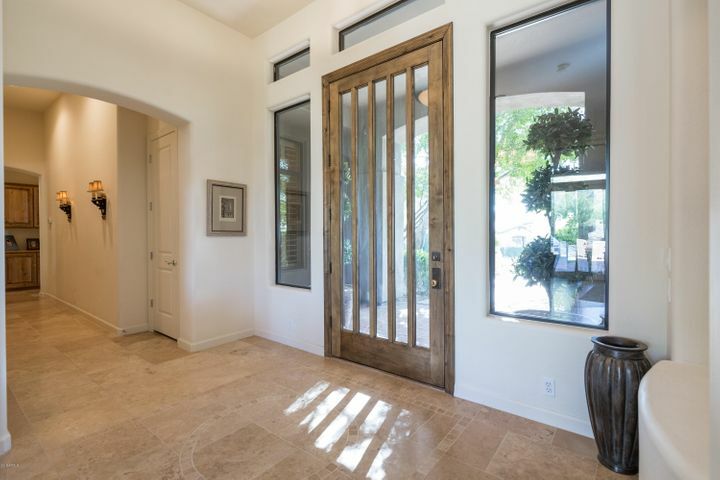 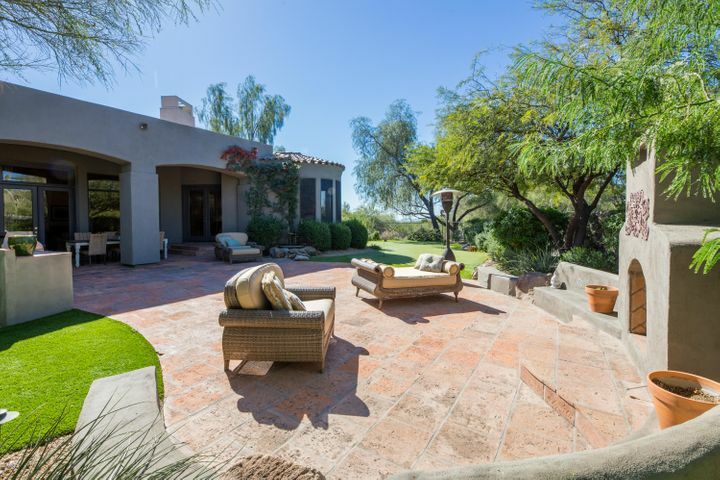 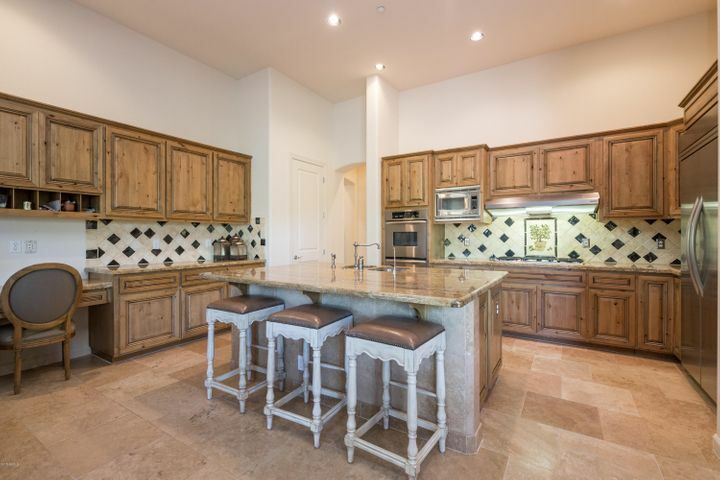 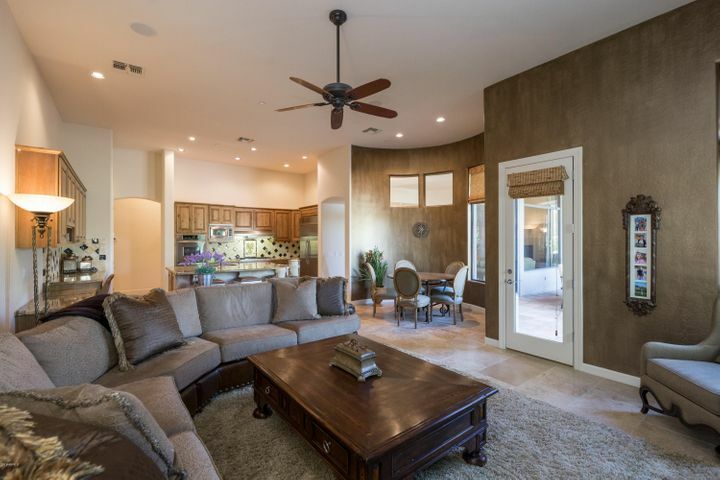 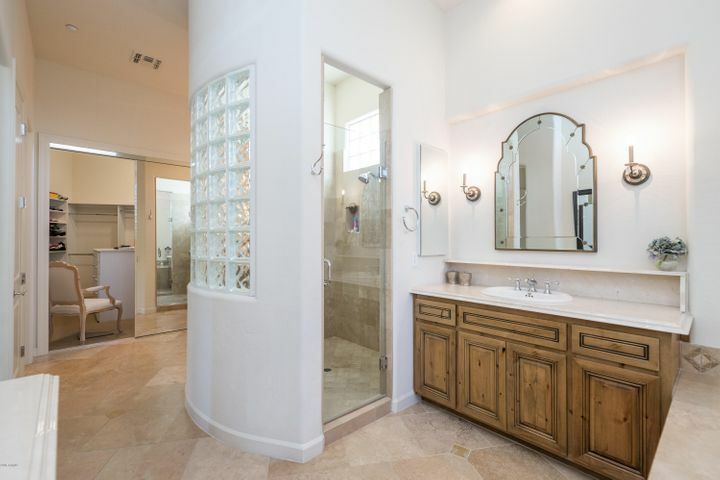 This home is located just a short distance from The Country Club at DC Ranch (a private golf and tennis club), Market Street’s retail shops and restaurants, and Desert Camp Community Center. 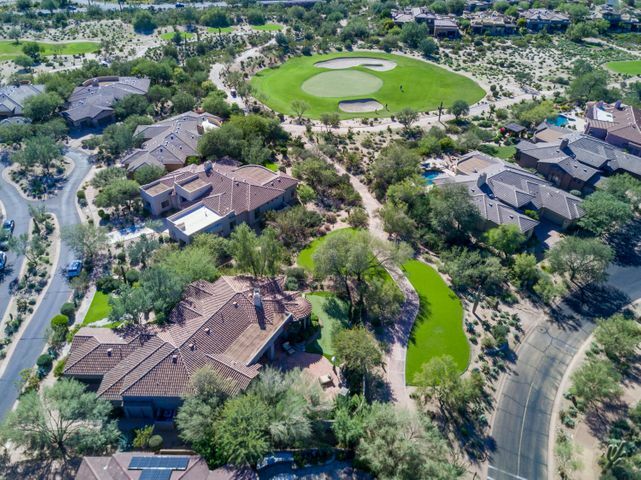 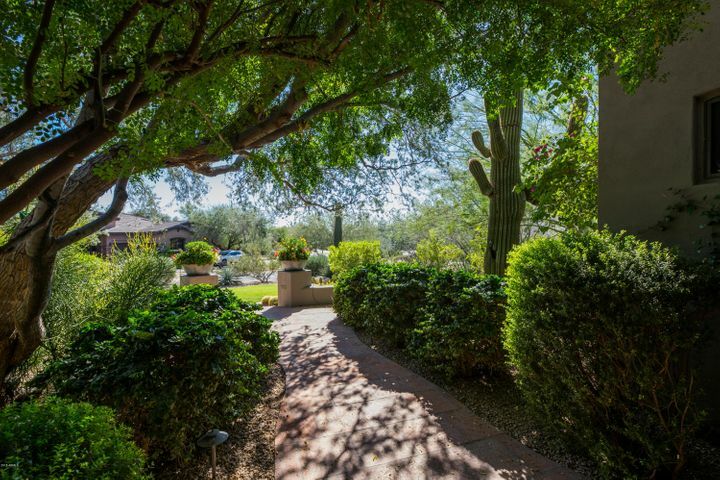 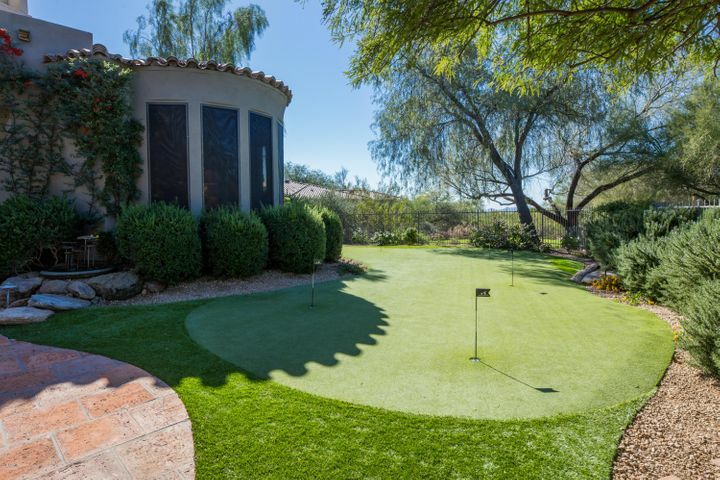 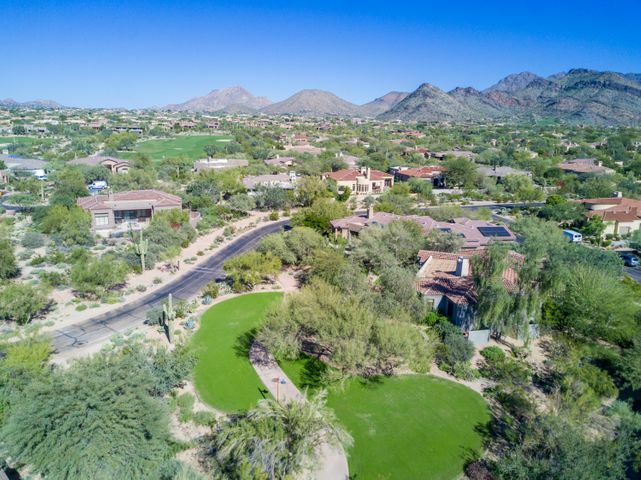 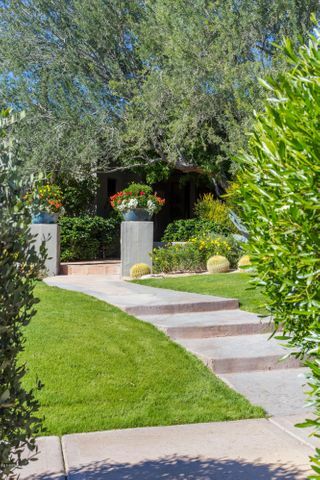 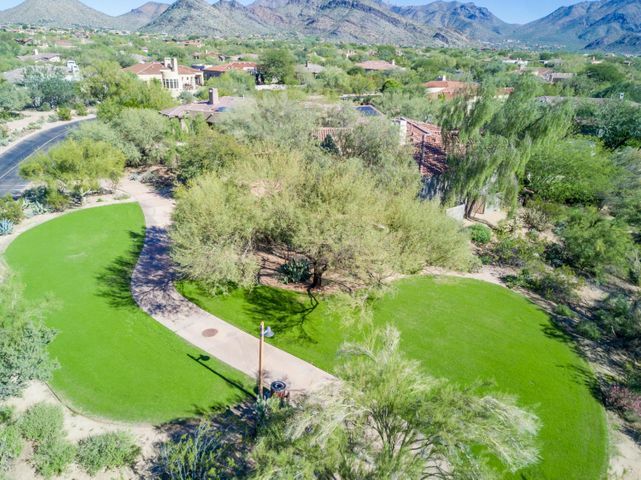 The master-planned community of DC Ranch offers 33 miles of manicured paths and trails, 47 community pocket parks, 2 community centers, and a community garden, and is located adjacent to the McDowell Sonoran Preserve and just 5 minutes north of the 101 Freeway in North Scottsdale.